WILLEMSTAD - On February 2, 2017, seven members from the U.S. 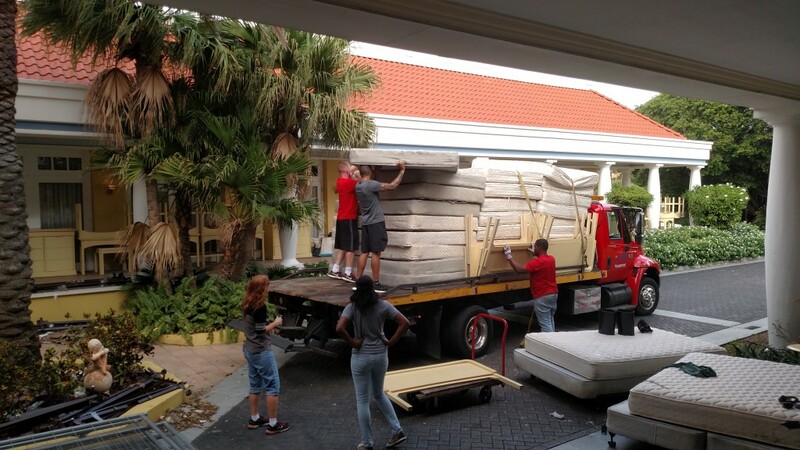 Forward Operating Location (USFOL) supported Fundashon Amigunan di Cristo (FUIK) with loading and transporting 17 mattresses, bedframes, headboards, and box springs, in addition to 34 pillows and 2 mini-fridges donated by a local hotel. The USFOL volunteers dedicated many hours in support of this operation to help provide for families through the FUIK Community Center. Since 2000, the USFOL has built strong partnerships with local community-based organizations to express their appreciation for the hospitality they have received from the citizens of Curacao.